The Power of STories and Celebrations: "Bringing Asha Home"
A short while ago, Colorín Colorado published a helpful resource page for parents with internationally adopted children who may also be English Language Learners (ELLs). 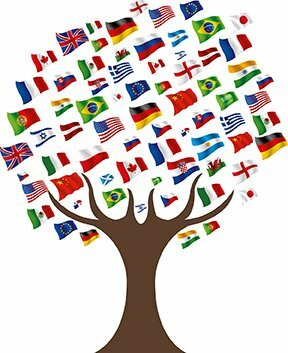 This resource page features “a number of tools for parents and educators of internationally adopted children who may be English language learners,” including articles on language development, speech and language acquisition, and a substantial amount of guidance on how to broach the topic of adoption in a school setting for educators and parents. This resource page also provides book selections about adoption for different age groups and has interviewed writers about why they believe adoption should be represented in our classrooms. Colorín Colorado reached out to writer Uma Krishnaswami about one of her children stories; Ms. Krishnaswami discusses her inspiration for writing Bringing Asha Home, a children’s book about adoption, in the video below. Another great resource for DL educators is New America, an online resource that regularly posts articles for professional development and current research for DL education and ELLs. This past month, New America asked and responded to the question “Can Dual Language Teachers Be Language Policymakers in their Schools?” offering not only a detailed interpretation of a new study published by the Bilingual Research Journal, but also offering practical solutions that DL educators can begin using today. Those who attended the 2018 Summer Academy may remember Sadlier, an education-centered publishing company which made an appearance during our week-long event. Sadlier offers many resources for both educators and students, and has recently published “Top 5 Tips on How to be a Great Coach/Mentor for Teachers Tip Sheet,” for K-12 educators . If you are interested in this Tip Sheet, please click this link and follow the instructions. Sadlier has published about mentoring in the past and provides useful worksheets for mentors seeking to take an active role in their school community: Glow and Grow Observation Form, Mentors of Math Teachers Checklist, and Mentor and Teacher Reflection Worksheet. There are plenty more downloadable worksheets available for mentors. Please peruse Sadlier to find the worksheet that best works for you! Many of the TWIN-CS Community Members are starting to introduce more science and mathematics concepts in Spanish and Mandarin this year. The extension of the TWI model into upper grades is an exciting opportunity to utilize more curriculum resources and to use new standards for science. Many schools have adopted the Next Generation Science Standards and will be glad to know that the parent guides are available in English and Spanish. The Roche Center will continue to share additional non-English resources as they are made available. Charlotte Mecklenburg Schools, located in North Carolina and home to the second largest school district population in the state, has started to address its growing diverse population. Jessa O’Connor from WFAE.org writes about how this district is using dual language education to close achievement gaps for English Language Learners, minority students, and low-income students. Principal Carolyn Rodd from Collinswood Language Academy, a K-8 dual language school, states that her school’s students learn from both classroom instruction and from social interaction. Since the student population is steadily 50% Spanish-speaking, 50% English-speaking, “There’s this rich intercambio, which is absolutely beautiful,” she says. The article concludes by addressing a major concern for many dual language programs: a shortage of qualified teachers. The TWIN-CS Network, privy to the successes of bilingual education, endeavors to provide a supportive environment not only for established dual language educators, but also provides supports for aspiring dual language educators. As dual language educators ourselves, we appreciate the development and successes of similar dual language programs and may learn from these educators. Please peruse the article to read about the personal experiences, opinions, and revelations of dual language teachers from a school district in Coachella Valley. As Spanish grows to become a standard global language like Mandarin, our TWIN-CS schools are gearing up to meet the demand of the global market. The New York Times has published an article about a collaborative research effort by Harvard University, Brown University, and the United States Census Bureau. This study “[uses] highly detailed research on the economic fortunes of children in nearly every neighborhood in America,” to conclude whether where children live has a direct impact on their socio-economic successes later in life. The research collaborative has “published nationwide data that will make it possible to pinpoint — down to the census tract, a level relevant to individual families — where children of all backgrounds have the best shot at getting ahead.” Users can enter zip-codes and use the toggle in the upper righthand corner to address concerns such as median household income, income rates for immigrants, high school and college graduation rates, and employment rates for specific locations. Please find the interactive research map here. For TWIN-CS members in Spanish-English dual language schools, Santillana’s Plaza, a Spanish classroom blog, is a rich source of information. 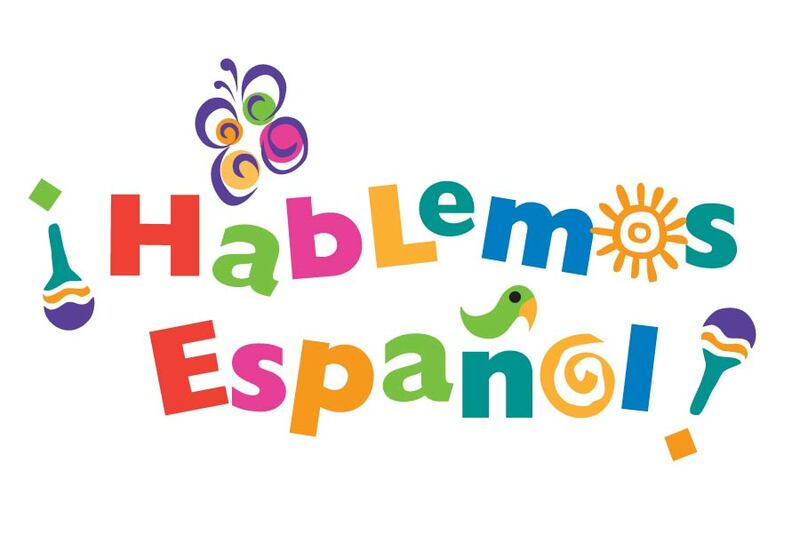 Complete with Spanish book recommendations, lesson plans, language lesson videos, and a Grammar Corner which houses a collection of videos and articles dedicated to learning proper Spanish grammar, the Plaza encompasses a plethora of interactive activities for students and teachers alike. The TWIN-CS schools may remember Santillana from our 2018 Summer Academy. We invite our members to peruse the website and to take advantage of the resources Santillana provides. If you’ve used Santillana before, please let us know how they facilitated education in your classroom!